G: "Miles, what are you going to be when you grow up?" G: "Are you going to play baseball like your Daddy wants?" "Are you going to be a pitcher?" G: "Or are you going to be a Scientist?" "Are you going to cure AIDs or are you going to cure Cancer?" Miles: blinking and kicking his legs around. 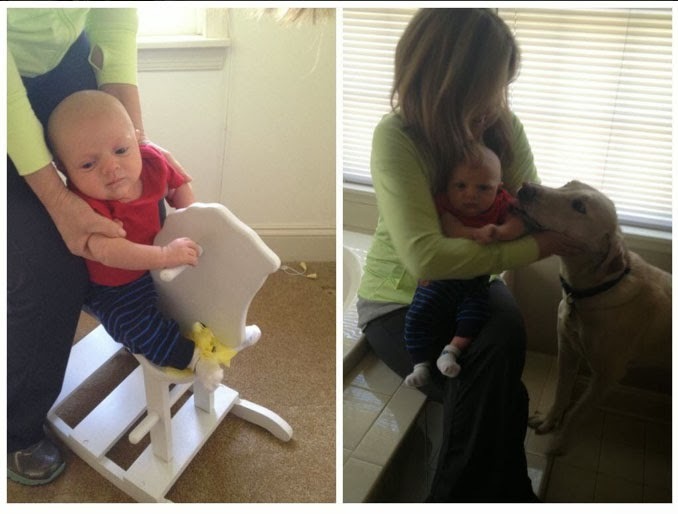 After this very heavy conversation, Miles rode his rocking horse for a minute and got licked by Max. He's still very apprehensive about Max. I don't blame him because Max is a total wild card, you never know what kind of crazy thing he's going to do. 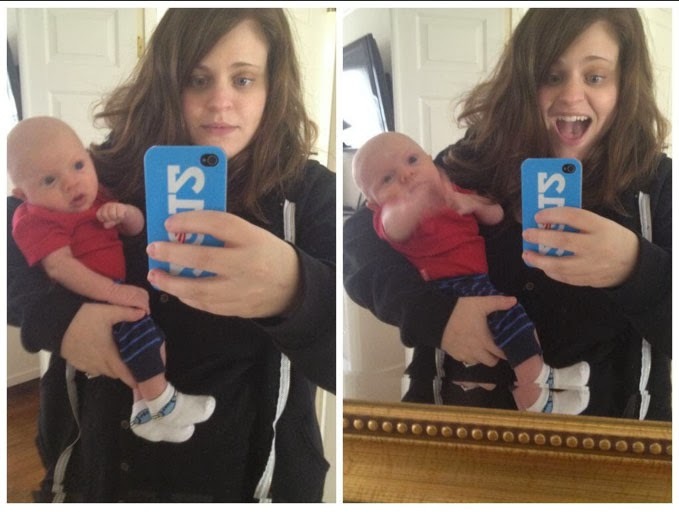 Go ahead and ask Grandma, Miles loves taking Selfies. He takes them with her all the time. Miles must be tinkered out from all the activities and loaded conversation with grandma :) Get some rest Miles! Babies and toddlers looking at themselves in the mirror is so cute!